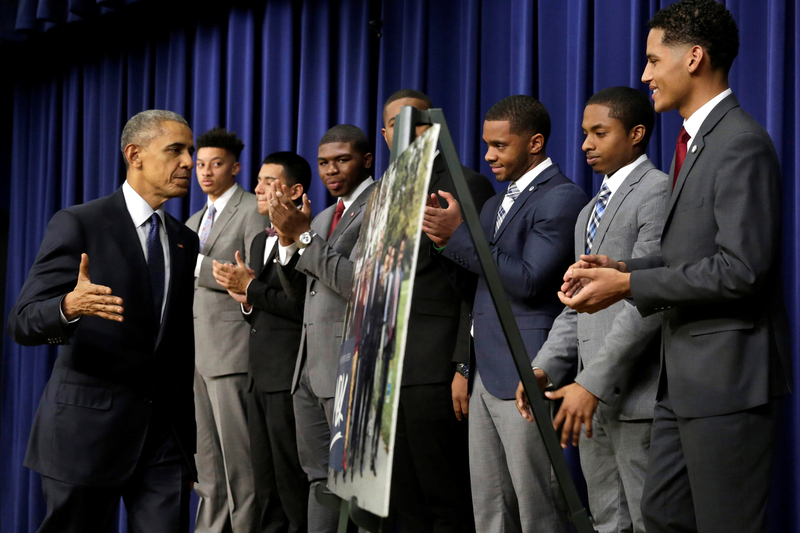 On Wednesday, the Obama White House hosted its last My Brother’s Keeper National Summit. In collaboration with the U.S. Department of Education, MBK Alliance, Bloomberg Associates and the Executives’ Alliance for Boys and Men of Color, the day also marked the first #IamMBK Day of Action – a call to encourage more Americans to become mentors and help kids achieve their dreams. President Barack Obama applauded efforts to grow and sustain the program for the long term. President Barack Obama waves as he arrives during the My Brother’s Keeper summit in South Court Auditorium at the Eisenhower Executive Office Building in the White House complex in Washington on Dec. 14. The My Brother’s Keeper initiative, in collaboration with the Corporation for National and Community Service, will encourage people, organizations, and communities to expand opportunity for young people of all backgrounds, including boys and young men of color. According to the My Brother’s Keeper website, for more than two years, communities, corporations and local officials across the country have mobilized in response to the president’s call to action. More than 250 cities, counties and tribal nations have committed to addressing persistent opportunity gaps faced by boys and young men of color and ensuring that all young people can reach their full potential. “So we put out a call for action across the country,” Obama said. “And I’ve just got to say, the response was incredible. Hundreds of you – mayors, tribal leaders, county executives, have created MBK communities in all 50 states, as well as D.C. and Puerto Rico. Businesses and foundations, many of whom are represented here today, are working across sectors and investing more than a billion dollars in proven pathways for young people. 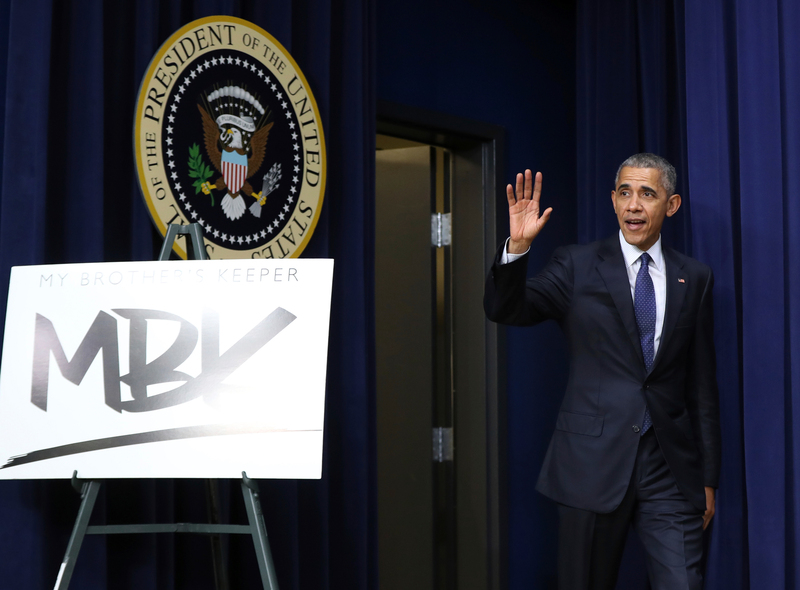 President Barack Obama (left) greets attendees at the My Brother’s Keeper Summit at the South Court Auditorium of the White House in Washington on Dec. 14. “In just a few years, the progress we’ve made is remarkable. So I just wanted to come by and say thank you. Thank you for stepping up to the challenge. Thank you for being great partners in this work. Thank you for believing in our young people.